Granted, this news is maybe a bit too late. Samsung’s already sold out of the free Galaxy Buds it was throwing in with S10 pre-orders. That said, the new Bluetooth earbuds are worth the $129 asking price, especially for Galaxy device owners. As with many fellow S10 reviewers, I’ve been using the Buds for about a week now. They happily hitched a ride in my ears from San Francisco to Barcelona and then back home to New York. And I’ve been digging them the whole time. 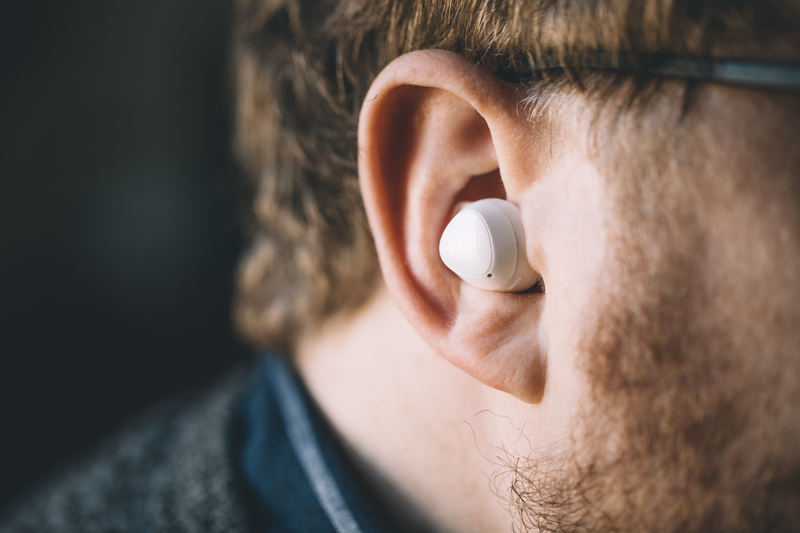 This certainly isn’t Samsung’s first wireless earbud rodeo, but frankly, it took the company taking more than a few pages out of Apple’s playbook to get things right here. The Galaxy Buds are heavily inspired by the AirPods’ simple “just works” approach to the category, bucking Samsung’s tendency to overstuff products. That approach mostly works like a charm on handsets, but the best thing a set of earbuds can do is fade into the background. On that front, the Galaxy Buds work like a charm. The AirPod comparisons are clear the moment you open the Galaxy Buds case the first time, triggering a dialog box on the screen of your Galaxy device. Like Apple’s version, the headphones will work with any Bluetooth device, but they work best with the company’s own products. Ecosystems, people. For other Android devices, you’ll need to download Samsung’s SmartThings or Galaxy Wearable apps for the proper effect. The charging case itself is a bit more bulky and bulbous than the AirPods, but it’s certainly small enough to carry around in your jeans pockets. 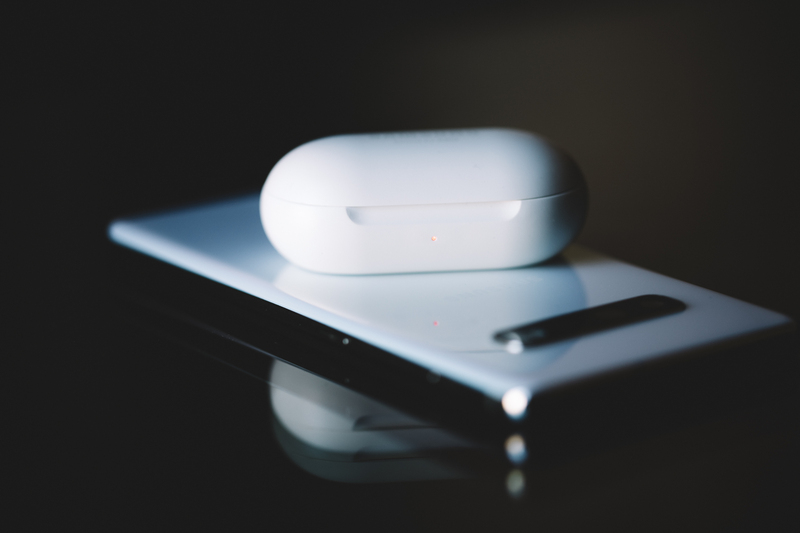 I also actually kind of prefer the pill shape to Apple’s Glide dental floss design. Apple’s no doubt working on that latter bit with the AirPods 2 (remember AirPower? ), but Samsung’s beat the company to the punch here — and for that matter, with Wireless PowerShare, which lets you charge the case by simply placing it on the back of the S10. That was one less cable I needed to pack. The battery should last you a while regardless. The Buds are 58 mAh each and the case is 252 mAh. That should translate to six hours a go on the Buds and seven hours with the case. I know I didn’t run out of juice during the day. The Buds fit well and the silicon tips should ensure they fit more ear sizes. They also form a nice seal, keeping sound in and passively canceling out ambient noise. They’ll stay put pretty well — I didn’t have any issues keeping them on at the gym. The sound, tuned by Samsung-owned AKG, is solid. It’s not the best I’ve heard in a pair of wireless buds, but it’s perfectly fine for walking around and hitting the coffee shop. All in all, a nice little surprise from Samsung, and a great addition to the Galaxy ecosystem. Perhaps they’re even good enough to convince Samsung to drop the headphone jack — but hopefully not.